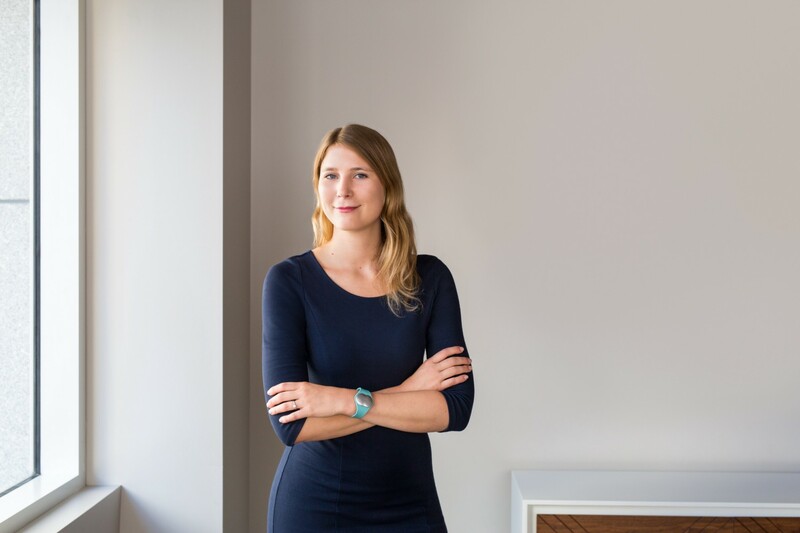 I had the pleasure of interviewing Lea von Bidder, CEO & Co-Founder of Ava Science, Inc., creator of the first and only cycle tracking bracelet that precisely detects a woman’s fertile window in real time. Under Lea’s guidance, Ava launched to huge consumer success in the US and throughout Europe in and the company has raised more than $12M in venture funding. To date, the Ava bracelet has helped thousands of women around the world get pregnant, won product awards from CES and The Bump, and has attracted celebrity fans including Jade Tanner Tolbert and Carly Waddell from “The Bachelor” and even Khloe Kardashian. I was born in Switzerland, just outside of Zurich. I earned a bachelor’s degree in business administration from the University of St. Gallen and HEC Montréal, and a master’s degree in global entrepreneurship from EM Lyon in France, Zhejiang University in China, and Purdue University in the USA. As an adult, I’ve lived in many different countries and have experienced many different cultures. After earning my master’s degree in the U.S., I moved to Bangalore, India and opened a chocolate production company and retail chain. Bangalore is a big tech hub, and during my two years there, I became much more interested in the tech space, even dabbling a bit in coding. And while I had always considered myself a feminist, my commitment to women’s issues became even stronger during my time in India, since it opened my eyes to just how far we still have to go. The one that stands out the most to me is finding out about the first pregnancy from the Ava bracelet: the first Ava baby! Our Ava community is tightknit, and we share in everyone’s struggles and triumphs. When the user’s pregnancy test turned positive, she texted us from the bathroom, before she even told her husband. Nine months later, when she went on the have her baby, she was in touch with us at the hospital, sending us updates and selfies. As an entrepreneur, I always wanted to provide something of value to the world, but I never expected my work to become so intimate and intertwined with so many women’s lives all over the world. It’s an incredible and humbling experience. There are so many companies out there who are making existing methods of fertility tracking easier: Bluetooth-connected thermometers and wearable thermometers. But Ava sees itself not just as a technology company, but as a medical research company. We didn’t want to just make it easier for women to track their temperatures throughout the menstrual cycle. Our goal was to go even further and use the latest advancements in sensor technology to pioneer new research about how a woman’s body changes throughout her cycle. I think one of the proudest moments in my career so far was when the Ava team got our first clinical study published in the journal Scientific Reports. It explained our brand-new findings about how resting pulse rate changes during the menstrual cycle. This kind of work is so important, not just for selling products that improve women’s lives, but for sending the message to the medical research community that women are not just smaller men — we don’t fully understand all the ways in which women’s bodies are unique, and that work is so important. Our mission is to support women across all stages of their reproductive lives and we are doing research on a wide variety of topics within that definition. I think it’s important that every single person at the company — from customer service to engineering to marketing — understands the business, the goals, and how their work fits into that. I think a lot of companies don’t think that every employee at every level needs to or is even capable of understanding the high-level challenges and opportunities the business faces. But I think that every new person we bring on our team is vital to our overall mission, and my co-founders and I spend a lot of time thinking about how to clearly and frequently articulate our challenges and goals to everyone at the company. My co-founders have been incredible. They’ve been committed from the very beginning. We’ve helped empower women around the world by providing them with actionable, reliable data about how their menstrual cycles impact their health and fertility. We’ve also helped thousands of women conceive and are now welcoming hundreds of Ava babies into the world! 1. That you’ll meet so many interesting people. I love how being a CEO has opened the door to meeting incredible people working on some of the most fascinating things. For example, I recently had the opportunity to meet the founders of Naya Health and Sandstone Diagnostics. Knowing there are other companies that are also dedicated to disrupting the healthcare space and creating innovative solutions is inspiring. 2. That prioritization is one of the keys to success. I could spend countless hours on a thousand different things. Being a CEO means saying “no” to a lot of tasks. For example, I make a conscious effort to critically review all of the meetings I’m a part of on a weekly basis and decide whether or not I really have to take part in them. 3. That spending time with peers is vital. I’m eternally grateful to have the chance to meet other great women who founded companies. I believe it’s really important to build a solid network. I love spending time with Laura Behrens, founder of Shippo. Up to recently, we shared an office space with her and her team and had the opportunity to regularly chat about what our respective companies were working on. 4. That questioning yourself doesn’t help. As a CEO you’re bound to make mistakes. A lot of them. It comes with the territory. I learn from those mistakes and then I move on. If I start questioning myself all the time, I’d get nowhere. I just do it. 5. That your team is your lifeline. As much as I started this from the ground, it’s the people running the company are central to our success. That’s why hiring the right people and making sure we align them to our vision is so critical. Our current team is amazing. The success of the company depends entirely on them. I would love to have lunch with anyone who’s working on the future of women’s health.